Last year at Microsoft Build 2017, Project Emma was an inspiring highlight of the conference because the project created a wearable watch to help a person with Parkinson’s write. Now Microsoft is greatly expanding its mission to help those with disabilities through AI for Accessibility. At the Microsoft Build 2018 conference in Seattle, the software maker announced the new $25 million, 5-year program designed to empower one-billion people with disabilities around the world through AI. To this end, Microsoft will put its money and resources towards helping developers to accelerate the development of accessible and intelligent AI solutions. With its AI for Accessibility program, Microsoft will first seed technology grants to developers, universities, non-government organizations, and inventors creating solutions with an AI-first approach that will create new opportunities and assist people with disabilities in their work, everyday life, and with human connections. 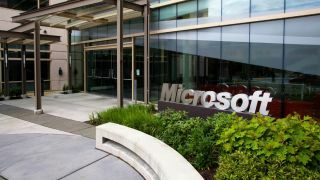 From there Microsoft will identify the most promising projects before offering them larger investments of technology and access to Microsoft AI experts to help them bring their solutions to scale. Lastly, the Redmond company will infuse AI, an inclusive design and work with its partners to incorporate AI innovations into platform level services to maximize the accessibility of all the successful AI for Accessibility solutions. Microsoft itself is also developing its own AI for Accessibility solutions including real-time speech-to-text transcription, visual recognition services, and predictive text functionality. The Redmond company believes AI advances such as these have an enormous amount of potential to enable people with vision, hearing, cognitive, learning, mobility disabilities and mental health conditions.